Welcome to Eddie’s Place. There are no roads here, and you will have hiked at least ten miles to get here. 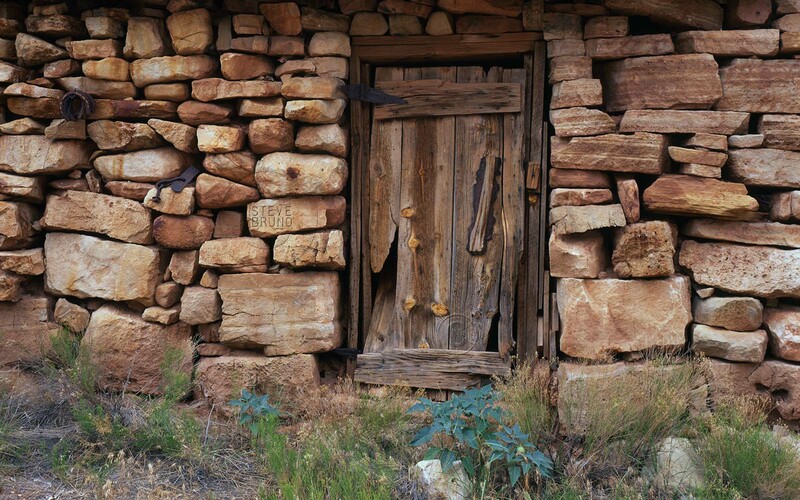 Deep in the Kanab Creek Wilderness on Grand Canyon’s western edge, the building comes as a surprise along the route to most visitors. Eddie was a veteran who returned with leprosy, and was given the chance to live out his years far away from society. This was long before any wilderness designation was assigned to the region. It’s been over ten years since I visited last, but I have a feeling this durable structure is still intact. I feel sorry for the mule that had to bring in the cast iron stove, however. Really makes you want to open it and see what’s inside. Beautiful! I thought about posting other shots, but in keeping with the theme, I held them back. Thank you for taking the time to comment! It’s much more mysterious and evocative with the one shot. Good choice. Much like a great novel, keep the reader wanting to turn the pages. A very interesting door! It looks like if you take it away, the walls will fall. Having been there and knowing how it was built made it seem very sturdy. I never saw it that way before, but you’re right.